Toronto – October 19, 2018 – UFCW Canada's ground-breaking online education program webCampusPLUS has launched a new course – Cannabis Dispensary Specialist – to provide knowledge and training for those working in the retail cannabis sector. The launch of the course coincides with the legalization of recreational cannabis. Canadians are expected to spend $7 billion in the retail cannabis sector over the next year. The webCampusPLUS Cannabis Dispensary Specialist course provides training and information on provincial and municipal legal requirements, cannabis’ botanical features, how it effects our bodies, product knowledge related to both selection and usage, as well as expectations on the job. The course is currently available in English only. Registration for webCampusPLUS is now open. 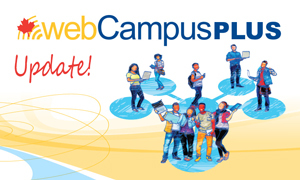 All webCampusPLUS courses are available at no cost to UFCW Canada members and family members. To register for webCampusPLUS, and to find out more about the program, visit the webCampusPLUS website today.